From then on go to the website of ESPN+ or use their app if supported. Please see supported devices between ESPN+ and Unlocator at the bottom of this page. 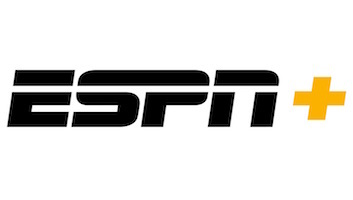 ESPN+ is a new online sports channel launched by Disney as part of their new streaming strategy. Unlike WatchESPN, you do not need a cable subscription in order to sign into ESPN+. This makes the new streaming service particularly appealing to cord-cutters. ESPN+ offers subscribers the chance to watch the MLB, NHL, MLS, in addition to other big sporting events on their favorite streaming devices. American expats living in UK, Canada, Australia, or anywhere else outside the United States cannot watch ESPN Plus due to regional restrictions however. As mentioned above, you will not be able to access any live or on-demand content on ESPN Plus in case you currently reside outside the USA. “ESPN+ is not available in your country due to content rights issues.” That is the geo-error you receive instead. In order to unblock your favorite streaming channels overseas, you have to spoof your online location. That’s where Unlocator comes in. By setting up Unlocator on your Apple TV, OS X, Windows 10, Windows 7, Windows 8, Windows XP, you can unblock and watch ESPN+ anywhere around the globe. Neither your IP address nor Internet speed will be affected as a result. Watch award-winning sports shows such as 30 for 30, The Last Days of Knight, and Detail anywhere in the world. You can create your Unlocator account without the need for a credit card thanks to a free 7-day trial. For further inquiries, get in touch with our support team by completing this form. Due to the fact MLB and ESPN+ use the same video streaming platform, you will not be able to bypass MLB blackouts and watch ESPN+ simultaneously while Unlocator is set up on your device. Log into your Unlocator account and head over to ‘Region Settings’. Under MLB/ESPN+, select ESPN+ and then click ‘Update Location’ in case you want to watch ESPN+ without interruptions.